I read a fascinating article by Jo Craven McGinty in the December 15-16 edition of the Wall Street Journal. It was titled: Superstars Are Hogging Billboard’s Hot 100. Today, it’s not uncommon for the most popular performers to have 10 or more songs listed on the Hot 100 at one time… (and) the hits now include far more cameos by featured performers. In mid-July, all 25 cuts from Drake’s album “Scorpion” simultaneously made the chart. The Canadian singer and rapper also performed on two other songs for a record-breaking 27 Hot 100 hits in a single week. For decades, the Beatles held the record with 14 simultaneous hits, an achievement that now ranks 17th behind Drake and others. 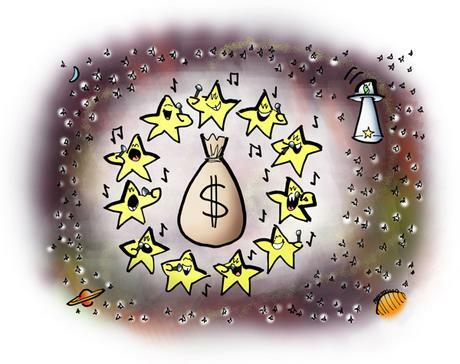 The consulting company Media Insights & Decisions in Action has argued that… a “superstar artist economy” has evolved, ironically, because the overwhelming size of the digital music catalog has confused fans. “There is so much choice that there is effectively no choice at all,” the company reported in 2014, concluding that rather than broadening their tastes, the “tyranny of choice” has led consumers to retreat to familiar and easy-to-find music. And that’s the biggest challenge facing brands today– especially smaller brands. Marketers and ad people believe the outside world cares about brands as much as they do. They’re wrong. Havas Global’s Meaningful Brands 2019 study found that nearly 80 percent of brands could vanish tomorrow and no one would care. Rory Sutherland, Vice Chairman of Ogilvy in the UK, believes most brand choices are the result of convenience. Then, in order to justify of our choice, we decide we like that brand. What’s the main lesson here for brands? There are basically two ways to get noticed. You can spend a fortune, buy Super Bowl ads, etc– but that’s not an option for most of us. Consider collaborating with another brand so you can cross-promote each other. An easy example: a local restaurant and a theater. The restaurant could offer a special for people attending a particular show, the theater could give the restaurant a free ad in its program. Another: a band could explore opening for a bigger act, or help organize a local music festival. It’s a matter of considering possibilities and getting creative.